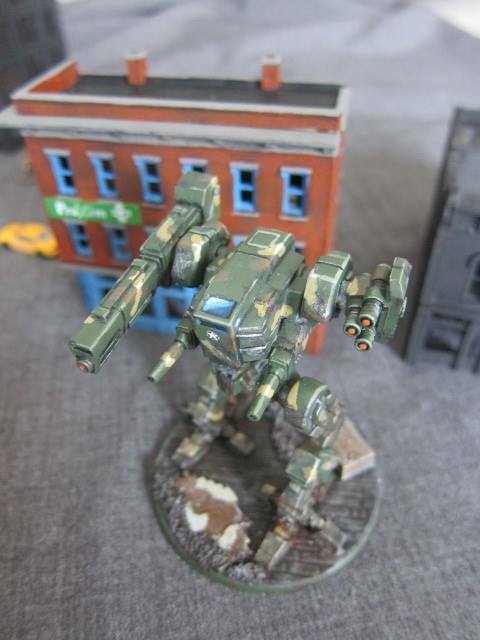 Outside of now having a full website dedicated to his creation, Jon Paulson’s Mecha Front now has a starting lineup of two complete mecha chassis and several alternate kits with different loadouts. This doesn’t seem like much compared to the unending cavalcade of BattleTech products. However, these mecha are fully customizable (not just ‘omnis’); with arms, legs, and weapons swappable like you would see in games like Front Mission. It’s also reasonable that you could integrate some of the products from his other site dedicated to customizing games at various scales. While this is cost-cutting to keep the number of parts that must be designed and produced manageable, this realistically reflects the real world military’s requirements of multifunctional military equipment and standardized parts for interchangeability. Examples would be multi-role fighters, modular armored vehicles like the Stryker, and even infantry weapons like the Steyr AUG that can be reconfigured as the mission dictates. But as usual, I digress. The strengths of these designs are readily apparent. If they look familiar they should. Based on Anthony Scroggins’ incredible artwork, the Raptor and Goshawk would both look as at home at a DARPA testing facility or military base as your desk. 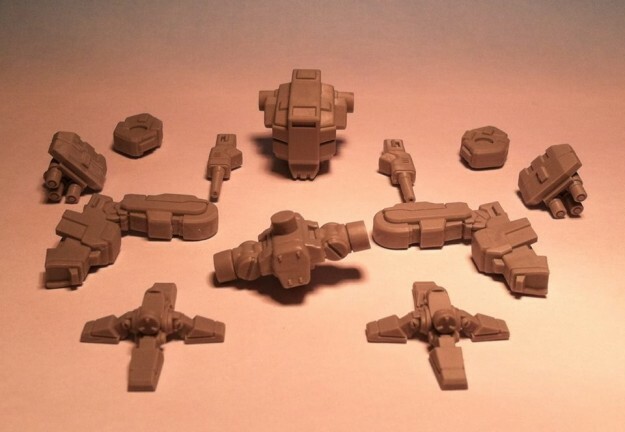 The mecha are pretty large as well, looking about on the scale as light or medium BattleMechs in N-gauge. The size partially makes up for a rather hefty price tag – about thirty bucks plus shipping. To be sure, outfitting a lance of these guys for over 120 bucks is daunting. But also worth consideration is that Mecha Front is a near-future game. Challenger, Leopard, or Abrams tanks and all the modern units and gear you see on the news will most likely be available (and relatively cheap) to use. When Paulson releases the 1.2 Beta as a PDF, he includes cardstock cutouts at the proper scale for people to ‘try before they buy’- purchasing only the PFD for a dollar. This is my mecha. There are many like it but this one is mine. The factions portray an oddly plausible future, with regions of the former United States and Canada allying into a ‘NorAm’ state after a devastating civil war. The ‘NeoBloc’ is composed of Russia and former Soviet satellite states who have regained their willingness to invade (think Red Dawn). If that’s not enough, there is Can-Oil, a Canadian megacorp that set themselves up as their own militarized state in Alberta. The rules haven’t been hammered out the way Paulson likes quite yet, but things look to be shaping up quite well for Mecha Front. As an avid fan of the Front Mission and GunGriffon series, I think this will probably be the closest I’ll see to a tabletop version of either game. And I’d be alright with that once I build more shelf space for my post-apocalyptic army. This entry was posted in News on 2013/08/22 by Ron.